The penalties for a probation violation can be severe. Typically, a judge will view a violation as a serious allegation and a breach of the trust originally placed in the defendant. When a probation violation is filed all penalties for the original conviction are possible, which includes the maximum amount of prison time the judge could have ordered in your case. For example, if you were sentenced on a second degree felony and placed on probation, a violation could result in the judge imposing the maximum 15 year prison sentence. Because of the seriousness of a probation violation it is crucial that you have a skilled defense attorney to fight your alleged violation. Call Jeff Dean. Mr. Dean has over 20 years of experience successfully handling probation violations. Over and over again he has had probation violations dismissed outright. In many other cases he worked out resolutions where his clients’ probation was reinstated with only very minor consequences, such as paying additional fines or doing extra community service. In your case Mr. Dean will assert every viable defense and vigorously pursue a successful outcome. To protect your rights and your future call Jeff Dean at (305) 967-6311 or (954) 204-3633 for a free consultation. When an individual pleads guilty or is found guilty in a criminal case, the court generally enters a conviction and places the person on probation. Probationary conditions usually include fines, serving time in jail, community service, community control (also known as “house arrest”), payment of restitution, completion of psychological or chemical dependency treatment, remaining alcohol and drug free, and refraining from committing new offenses. When your probation officer reports a violation of probation (VOP) or community control violation to the court a warrant may be issued for your arrest, and in Florida judges rapidly put out arrest warrants for probation violators. Most arrest warrants for probation violations are issued with a “no-bond provision which means that you will be held in jail without bond until your probation violation case is resolved. If you believe that your probation officer is going to file a probation violation report, or already has, then contact Jeff Dean immediately and he can file for a bond hearing and request your release while your case is pending. There are many defenses that Jeff Dean can employ to challenge your probation violation allegation. One such defense is that your violation was not willful and substantial. The trial court may revoke your probation or community control only if the State proves that you willfully and substantially violated a specific condition of your sentence. It may be that your alleged violation was not intentional or willful and that you substantially tried your best to comply. Jeff may also argue that the evidence is insufficient to prove your violation. The state has the burden to prove your violation with competent evidence. Jeff will seek to exclude inadmissible evidence and argue that the evidence submitted does not prove the violation of probation or community control. Jeff might also argue that there are mitigating circumstances, that the violation is minor, that your record on probation has otherwise been good, and that given the overall picture of your progress and compliance you are entitled to have your probation reinstated without additional consequences. To fight your alleged probation violation, you need an experienced, aggressive attorney. 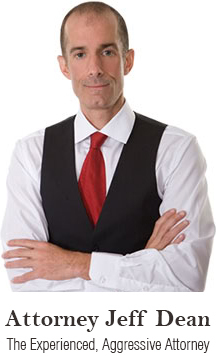 Jeff Dean is a highly respected defense attorney and he has had extensive experience in probation violation cases. Call Jeff today: (305) 967-6311 or (954) 204-3633.